From 28th August till 11th September, a Summer Event will be held. This brings back Chi's very first event Heartless, Watermelon and Fireworks! They really have trained hard throughout the year to reach a level of 666! All 6 event Heartless are the current Guilt Targets. There are also other limited subjugation and trial missions for them which you can find here. 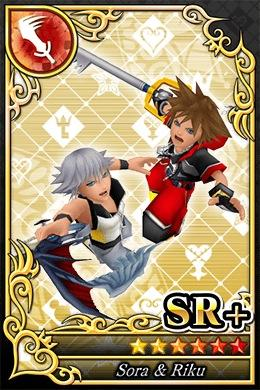 The card ability "Wind Barrage" and "Wind Barrage+" will provide a damage boost when fighting these event Heartless. Wind Barrage increases 50% of the card's attack when High Puritized (25% when not HPed), and Wind Barrage+ increases 100% of the card's attack when High Puritized (75% when not HPed). 1) Battle Between Unions! Defeat the Level 666 Heartless! Note: There are 2 separate rankings for both 666 Heartless. 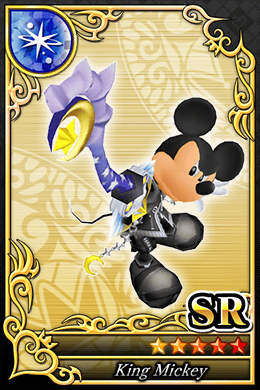 So if a certain player managed to achieve 2nd for both, all members in his Union who have fulfilled the criteria will receive 2 SR+ Card Medals and 2 SR Fairy Godmothers. *You have to defeat at least 1 of the individual Event Heartless to receive the rewards. *For each category, the rewards are shared. But you will receive 2 different colored Hairstyles. Flower Fields -> Forest of Beginnings, Shades -> Forest of Beginnings, Bushes -> Morning Dew Forest, Shades -> Morning Dew Forest, Upper Level. Repeat. Mines, Area 1 -> Mines, Area 2 -> Entire Daybreak Town. Repeat. Rocky Grounds of Rejection -> Faltering Dunes. Repeat. Mines, Tram Crossing -> Mines, Areas 3-5 (Right) -> Mines, Area 6. Repeat. Looks neat enough. Thanks for coming up with this comprehensive list! The rewards are totally going to be my birthday presents. Also, for convenience's sake, could you please post the images of the cards that get that"Wind Barrage (+)" boost please? Wait till I have finished searching all Heartless locations then. I think I can provide some for now. The quality isn't the best, but I believe it should suffice. Most probably because of Premium Draw? There's a new one taking effect this week, and I wouldn't be surprised if cash flow is huge considering the 4x boost on top of the 2x special event Heartless boost. I'm still trying to convince myself to actually spend my Raise cards. I've been hording them for months hoping for a percent increase, but it doesn't look like those are ever going to happen again for freebies. The HP of the huge variants are just insane. For comparison, the LV600 Fail's Egg had 666666 HP, the LV666 High Wizard has 450000 HP and the LV666 Colorful Gummi Hammer had only 810000 HP. And yes, for a strange reason the experience points decrease with the Fireworks Heartless' level. Welp, that just confirms that only the strongest paying players can kill them without having to spend an obscenely astronomical amount of AP. Pretty much. Thanks Shard, that's actually kind of reassuring. Me, I'm using this GUT as an excuse to stop killing Lv 44s, but because I want that Orichalcum I still have another 99 Watermelons to kill once GUT ends. That's less than 300 AP, it's just tedious is all. In case anyone didn't know, another set of missions will be coming after the next maintenance. It will be the usual add-ons to the subjugation missions. But to be able to attempt them, you will need to clear all of the current ones first. Man i am having trouble killing those lv 444s. I maxed out my guilt for the 33s and 44s. I think its my stats :/. 56k hp 107k atk/104k def. Am I too weak for it? I was able to take out around 75% of its HP, but it hit me for 90k damage. 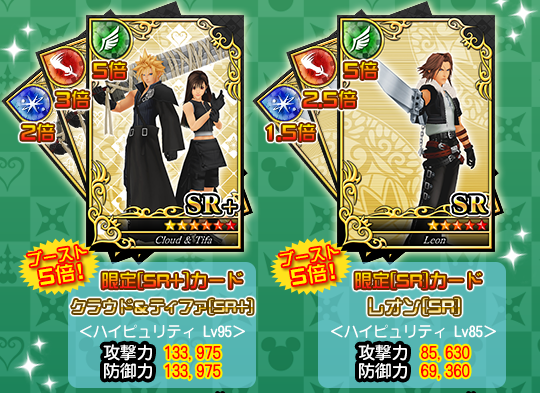 To provide more perspective, my Keyblade was Treasure Trove +40, the cards are 2x boosted except for Eraqus (which is 1.5x boosted), and Combo Plus on the Sora & Riku SR+ activated. So how do you guys play this game isn't it only in japanese?